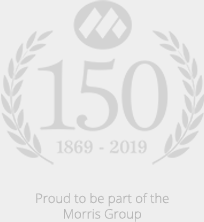 Local business Morris Joinery, has been inspired to offer work experience to five prospective bench joiners who will have the opportunity to gain a full time traineeship or apprenticeship in September. The team from Morris Joinery attended Careers Week at Shrewsbury College to meet joinery and carpentry students from all levels. The event ignited the idea to invite interested students to spend time with Morris Joinery and put their skills into practice whilst learning more about their trade in a working environment. Each of the selected students will spend four days in the joinery workshop at Bicton Business Park, Shrewsbury, to observe experienced bench joiners and carry out tasks to assess their hand-skills and attention to detail. After six weeks, three students will be shortlisted to go back for another week’s work experience, and following this Morris Joinery will recruit the most successful students as apprentices. The aim for Morris Joinery is to provide an insight into a realistic working environment helping student’s upskill and build their CV’s whilst giving the successful apprentices an opportunity to continue learning whilst working and earning. The students are all currently in full time education at Shrewsbury College and are either completing their Level Two, or Level Three qualifications with a view to finding an apprenticeship or full time work upon completion of their courses. Morris Joinery is dedicated to training the next generation and finding the best talent to continue its tradition of providing bespoke, hand-crafted joinery whilst mixing traditional and contemporary methods.